current largedistrict superintendents, including Alan Bersin, Tom Payzant, Arne Duncan, and Kaye Stripling, Applies current research to illuminate what has succeeded and what has not worked in cities such as Boston, San Diego, Houston, and especially Chicago. Book jacket. 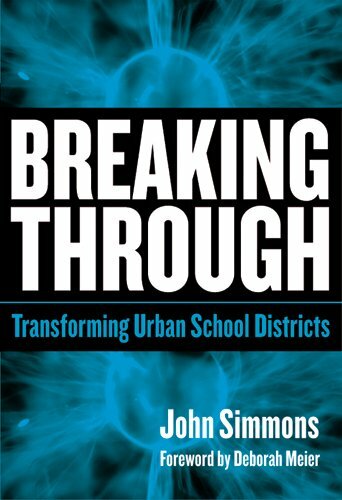 John Simmons is a consultant and author whose books have been internationally influential. A former director of Newell and Sorrell and Interbrand, he has worked with clients such as Diageo and Unilever to help them create a distinctive tone of voice and to tell their stories better. Now an independent consultant and director of brand language at www.thewriter.co.uk, he writes regularly for the media and runs writing workshops for individuals and businesses. He is a co-founder of 26 ( www.26.org.uk ), a U.K.-based non-profit collective that champions the cause of better writing in business. What Worked in High-Gain Schools? Recruiting and Training Effective School Leaders: What Will It Take?